Facing criminal charges in or around Marlton? Call a top-rated attorney today! Though Marlton is a small and quiet community of only 10,000, our office, conveniently located on Route 73, provides criminal defense attorney David Jay Glassman quick access to clients throughout Burlington and Camden counties. When you are facing tough state or federal charges, your freedom, your career, and your relationship with your family are at risk. That’s why you need a top-rated defense lawyer with more than 35 years of experience. 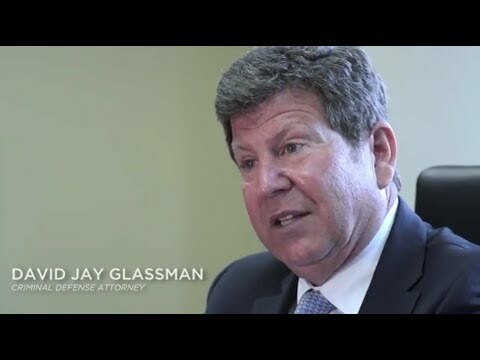 Mr. Glassman draws on his knowledge as a former Deputy Attorney General in Pennsylvania and a Prosecuting Attorney for Atlantic County, New Jersey, to present an aggressive defense that challenges each element of the case against you. Our office, close to major arteries such as I-295 and the New Jersey Turnpike, allows us to respond in a timely manner to your urgent call for legal assistance. Although crime has declined in Camden County, arrests have increased. The State Police report that violent crime dropped 20 percent and nonviolent crime dropped nine percent in 2014. But compared to crime statistics for the previous year, adult arrests in Camden County increased 6 percent, to more than 25,000, and juvenile arrests increased 37 percent. Many of these arrests were drug related. The number of arrests in Burlington County was lower but still substantial, at more than 20,000. These statistics show that the police in Burlington and Camden counties are taking an aggressive stand, making it very easy for you to get drawn into a zealous prosecution with severe consequences. Even seemingly minor offenses can carry severe penalties, affecting your ability to hold a job and make a living. No matter what type of criminal charge you face, an experienced criminal defense attorney can make all the difference in your case’s outcome. If you have been arrested or are being investigated for a crime in Burlington or Camden counties, the Law Office of David Jay Glassman can serve you from our office in Marlton. You can trust our experienced legal team to protect your rights in federal, state or municipal court. To schedule a free initial consultation, contact us online or call us at 866-221-1270.